Good personal hygiene is one of the most effective ways we have to protect others and ourselves from illness. This means not only washing your body, but also your hands, especially. It means being careful not to sneeze or cough on others, cleaning things that you touch if you are unwell, using protection (like gloves or condoms) and putting items such as tissues into a bin, when you might be at risk of catching an infection. 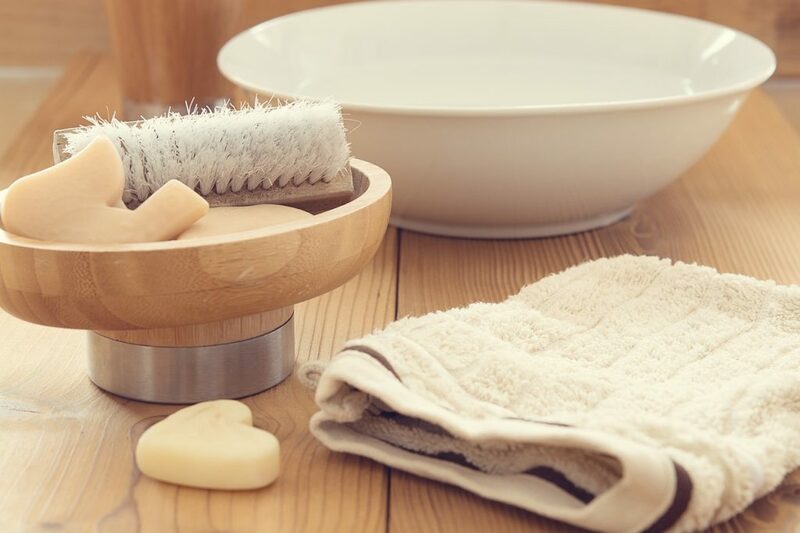 Personal hygiene, such as bathing, is very much dependent on the culture in which you live. It is expected that you will use deodorants to stop body smells, and wash your body at least every day, in some cultures, but other cultures have different expectations. Chemicals in sweat, including pheromones, which are made by the body. Wastes excreted through the skin, such as metabolised alcohol. The actions of bacteria that live on the skin and feed on sweat and dead skin cells. Unwashed clothes, such as socks and underwear. Most infections, especially gastroenteritis and colds, are caught when we put our unwashed hands, which have germs on them, to our mouth, or when other people’s dirty hands touch the food we eat. Wrists and hands should be washed with clean water and soap, using a brush if your fingernails are dirty. Dry your hands with something clean, such as hot air dryers or paper towels. Before eating or making food. After handling dogs or other animals. If you have been around someone who has a cold or is coughing. Good dental hygiene includes regular flossing and brushing. Diseases of the mouth, teeth and gums, such as infections, can cause bad breath. Because saliva is not made while you’re asleep, most people have bad breath first thing in the morning. Some foods that can cause bad breath include onion and garlic. Mouth sprays, mouth washes and flavoured chewing gum can make your breath smell better for a while, but if you have a health problem in your mouth, you need to see your dentist. When you wash your hands, make sure they are totally dry before you touch any food. Don’t use tap water to clean your teeth. Don’t wash vegetables or fruit in unsafe water. Make sure the water is boiled before you drink it by holding it at a rolling boil for one minute, if you have no other water source. Make sure any cups, dishes or other utensils are totally dry after they are washed. Good personal hygiene is one of the most effective ways to protect others and us from many illnesses, such as gastroenteritis. Wash your hands regularly, especially before eating or preparing food and after going to the toilet.